The government is going to enhance the capacity of Chittagong Shah Amanat Airport with a view to facilitating smooth landing and takeoff of wide-body aircraft in the port city. 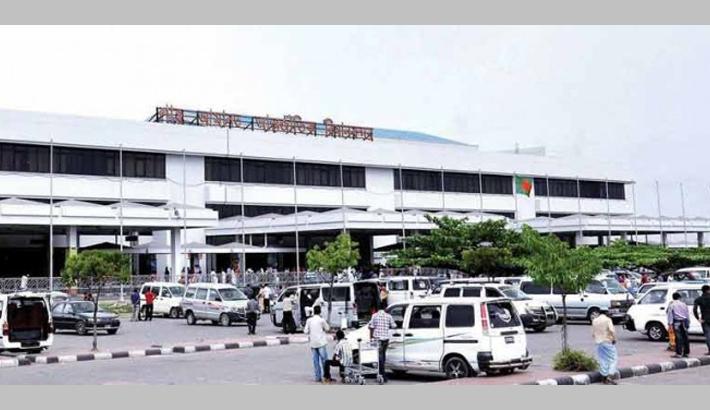 According to the planning commission, the government has already given nod to a Tk 5.41 billion (541 crore) project of the Civil Aviation Authority, Bangladesh (CAAB) for improving the airport in the country’s commercial capital of Chittagong. Approval for the project came this week at the meeting of Executive Committee on the National Economic Council (Ecnec) with Prime Minister Sheikh Hasina in the chair. Earlier, a project evaluation committee of planning commission completed necessary scrutiny of the project and rationalise its proposed expenditure. The scheme is scheduled to make the international airport ready for handling large aircraft like Boeing -777 by June 2020 with increasing the capacity of runway and taxiways. “Once the proposed project is implemented, landing and taking off of all kinds of flights, including wide-body aircraft will be safer,” said a planning commission high-up. Shah Amanat International Airport is one of the important airports in the country, which is now being operated with 2,940 metre-long runway, two taxiways and other infrastructure including a terminal building. Currently, wide-body planes like Boeing-777 are using the airport at a very limited scale with limited load, but civil aviation sources said the number of large planes at the airport will increase in future with enhancing facilities in the airport . Large aircraft now run the risk of accidents while using the airport as asphalt overlay of the year 2000 has already decayed, aviation sources added. They said that the project has been undertaken to improve runway and taxiways for sustainable flight operation and management. Under the scheme, a total of 1,98,360 square metre runway and taxiway will be consolidated alongside some other development work necessary for the facelift. The scheme was included in the new project list of current fiscal’s Annual Development Programme (ADP) without any resource allocation or approval. The meeting of the Executive Committee on the National Economic Council (Ecnec) approved the project this week with Prime Minister Sheikh Hasina in the chair. The airfield was built in the early 1940s under the British rule. Known as Chittagong Airfield during World War II, it was used as a combat airfield, as well as a supply point and photographic reconnaissance base by the US air force during the Burma Campaign between 1944 and 1945. It officially became a Bangladeshi airport in 1972 after Bangladesh's liberation war. At first, it was mainly used for connecting Dhaka and Chittagong. But in the mid-1990s Biman started international flights to Bangkok, Dubai and all other major Gulf cities and it officially became an international airport. In March 1998, a major renovation and expansion began, which ended in December 2000. CAAB received financial assistance from the Japan International Cooperation Agency for the US$51.57 million upgrade. The upgrade modernised the terminal with new and better seats, more check-in counters, better security equipment and other facilities. The Air Traffic Control tower received new hi-tech equipment such as 3D radar. The runway, taxiways and the tarmac were expanded and improved.